Duac gel is a prescription-only acne treatment that can be very effective, but skin conditions are delicate, so you need to equip yourself with information before you choose a direction for your treatment. That’s why we have created this page to answer all your Duac questions. Here, we’ll cover what Duac gel does, how it works, how you can use it, and why it isn’t always the right choice. By the end, you should be much better equipped to decide if it may be a good option for your acne — you can buy Duac gel here by submitting an online consultation. What does Duac gel do? Duac gel treats mild to moderate acne outbreaks using its two active ingredients: benzoyl peroxide, an antibacterial, and clindamycin, an antibiotic. This dual composition allows it to be more effective at treating acne than treatment with either ingredient alone. Users of Duac gel typically see improvements in spots and inflammation after around 2-4 weeks of starting daily treatment. If you’re determined to make fast progress with your acne treatment, Duac gel could be an excellent option. How does Duac gel work? Benzoyl peroxide, an antibacterial, works to kill some bacteria known to cause or exacerbate acne, but it does more than that. It also breaks down keratin, a protein, and in doing so breaks down the top layer of skin so it can shed old or dead skin and take pore blockages with it. Clindamycin, an antibiotic, more broadly attacks the bacteria that feed off the sebum (skin oil) that causes and gets trapped in pore blockages (for more context, visit our page of other acne-suitable antibiotics). As it kills the bacteria, the skin inflammation goes down, and healthy new layers can develop and emerge. Working together, these effects are additive resulting in more effective acne treatment. The reduced bacterial presence slows the spread of acne, and the exfoliation makes way for healthy skin to arrive. What can a new user expect from using Duac gel? When Duac gel starts to become effective (likely within a few weeks of daily use), it can have some side effects including additional redness and peeling. This is entirely normal and nothing to be concerned about — if it bothers you greatly, you can discontinue treatment for a few days to let your skin calm down. You can also use oil-free moisturiser to alleviate dryness and discomfort. Using Duac gel can also leave your skin sensitive to sunlight and thus vulnerable to additional damage. Keep the affected skin out of the sun (and away from UV lamps), or apply a non-comedogenic sunscreen any time you are out in direct sunlight. If the side effects of Duac gel go beyond minor irritation and/or don’t go away when you stop using the gel for a few days, consult the medical professional who prescribed it (or your GP, if that’s easier, assuming they didn’t prescribe it). How long does Duac gel take to work? Once you start applying it, you can expect to see significant results within 2-4 weeks, and better results the longer you use it (treatment can last up to 12 weeks for a completed course). After a 12-week course of Duac gel, it is recommended you have a 2-week break to review your acne before re-starting treatment, if necessary. You can read patients’ first-hand experiences with the treatment by reading through some of our Duac gel customer reviews. That also means that you can tell quickly if it isn’t going to be effective in your case. No skin treatment works for everyone, and there may be some reason why Duac gel doesn’t work for you — if you’ve seen no improvement at all after 8 weeks of daily treatment, consider alternatives. Duac gel is a topical gel, which means it’s applied directly to the skin. Once it’s been prescribed to you, you should follow the provided course of treatment, which will recommend that you apply the gel once each day (in the evening if possible). Wash, rinse and dry the acne-affected area, being very careful not to further damage the skin or irritate it with any cleansing substances (dry by patting, not scraping). Stick to using warm water — soap, in particular, will further dry the skin. When the area is dry and ready, place the recommended amount of the gel on your fingertips and use them to rub it in until it’s absorbed. Beyond that, follow best practices about using Duac gel. Avoid using it with other acne treatments, take good care of your skin, and don’t miss any treatments if possible. Does Duac gel work for everyone? Most acne sufferers can use Duac gel effectively — it is ideal for anyone treating moderate acne where there is redness and inflammation present. That said, it isn’t suitable for everyone in every situation. For instance, if you’re an acne sufferer already using acne treatments, there’s a good chance that Duac gel won’t be suitable for use alongside it. It’s intended as a solitary treatment - it shouldn't be used alongside other topical or oral antibiotic treatments unless a dermatologist has specifically advised you to do so. Pick just one treatment and stick to it for the duration. Additionally, as noted earlier, no skin treatment is effective for every user. 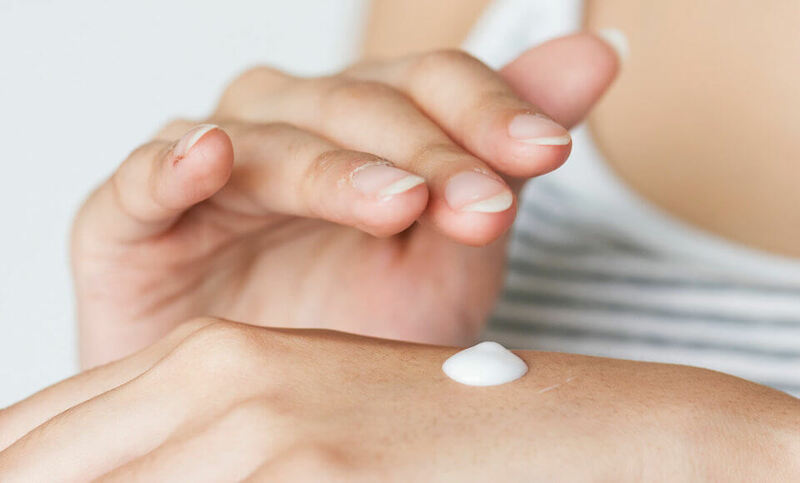 Many skin conditions still aren’t understood in detail, and so many things can change and go wrong with skin that you can never know exactly how someone will react to a given treatment (check out our main article for Duac gel side effects). You’ll need to get advice from a medical professional, then try Duac gel to see how you respond. Duac gel is a prescription-only acne treatment applied directly to the skin. It uses a combination of an antibiotic and an antibacterial. It can treat mild to moderate acne outbreaks. It typically gets initial results within 2-4 weeks of daily use. It’s suitable for most people, but not everyone.